Χάρη στην ποιοτική διαμονή και την άριστη εξυπηρέτηση του Maithong Riverside, στην επίσκεψή σας σε Πετσαμπουρι θα νιώσετε σαν στο σπίτι σας. Μόνο από το κέντρο της πόλης, η στρατηγική θέση του ξενοδοχείου διασφαλίζει ότι οι επισκέπτες θα έχουν γρήγορη και εύκολη πρόσβαση σε πολλά από τα τοπικά σημεία ενδιαφέροντος. Από τη βολική της τοποθεσία, η ιδιοκτησία προσφέρει εύκολη πρόσβαση σε κορυφαίους προορισμούς της πόλης. Με τις υψηλού επιπέδου υπηρεσίες και την μεγάλη ποικιλία ανέσεων, το Maithong Riverside δεσμεύεται ότι η διαμονή σας θα είναι όσο πιο άνετη γίνεται. Για να ονομάσουμε μόνο λίγες από τις εγκαταστάσεις του ξενοδοχείου, υπάρχουν τα δωρεάν WiFi σε όλα τα δωμάτια, 24ωρη φύλαξη, ημερήσιος καθαρισμός, ιδιωτικό τσεκ ιν/τσεκ άουτ, γρήγορο check-in/check-out. Επιπλέον, όλα τα δωμάτια διαθέτουν ποικιλία ανέσεων. Πολλά από αυτά παρέχουν ακόμη και επίπεδη τηλεόραση, πετσέτες, ντουλάπα, ασύρματη σύνδεση internet (δωρεάν), κλιματισμός προκειμένου να ευχαριστήσουν ακόμα και τον πιο απαιτητικό επισκέπτη. Εξάλλου, το ξενοδοχείο διοργανώνει πολλά ψυχαγωγικά δρώμενα έτσι ώστε να έχετε πολλά πράγματα να κάνετε κατά τη διαμονή σας. 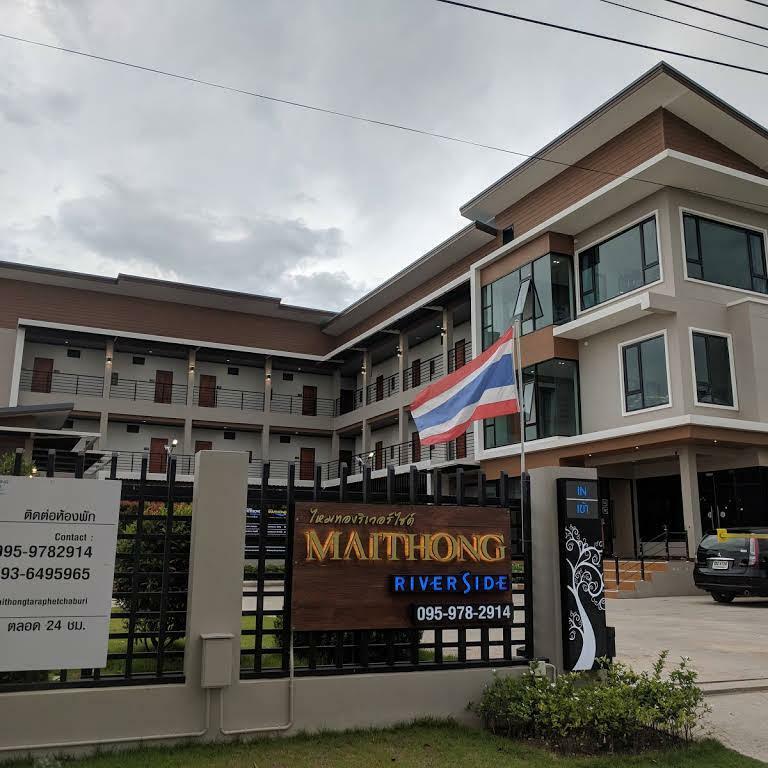 Το Maithong Riverside είναι μια έξυπνη επιλογή για τους ταξιδιώτες στη Πετσαμπουρι προσφέροντας κάθε φορά μια ήρεμη και ήσυχη διαμονή. Excellent value for money! This place felt like a five star resort! 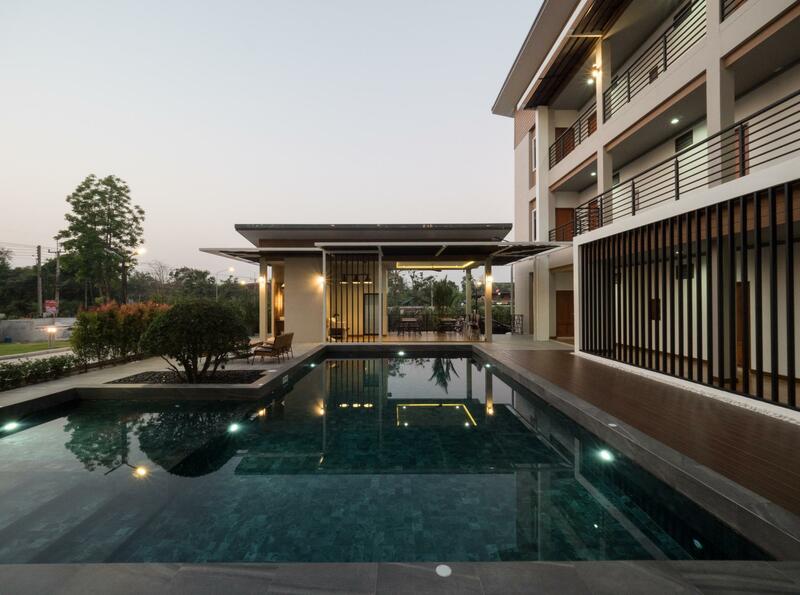 It’s brand new and has beautiful rooms, an amazing pool plus a free small breakfast and coffee. The staff were very friendly. Highly recommend! 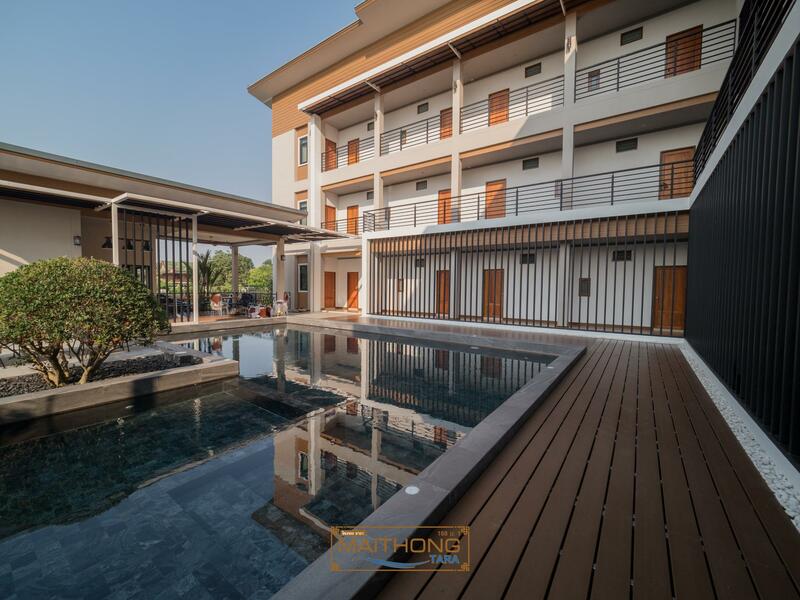 We were a group of three staying in two rooms, and really enjoyed our one-night stay here during a long weekend roadtrip around Phetchaburi. The view was excellent, it was quiet and peaceful (surprising lack of bugs for being by water, although maybe we were lucky). They put our three bikes for us, which we didn't have time to use, unfortunately. 'Outdoor' bathroom was fun, room was simple, tasteful, clean. Great wifi. Breakfast included fresh-ground coffee and toast, and the staff were very kind and lovely. Would definitely go again! The pool was the main reason that drew me to book with this hotel. The room was clean and large, with a balcony to hang your clothes, but housekeeping is not done everyday. There is a huge parking area and most guests were domestic tourists. Nice place if you have a car to get around Phetchaburi as most of the attractions are far out. What an amazing experience ,could have experienced the nature ,and outdoor bathing is absolutely unforgettable ,although hotel is not that ideally located ,but that makes it a better place for those who seek peace and tranquility ,love this hotel ! 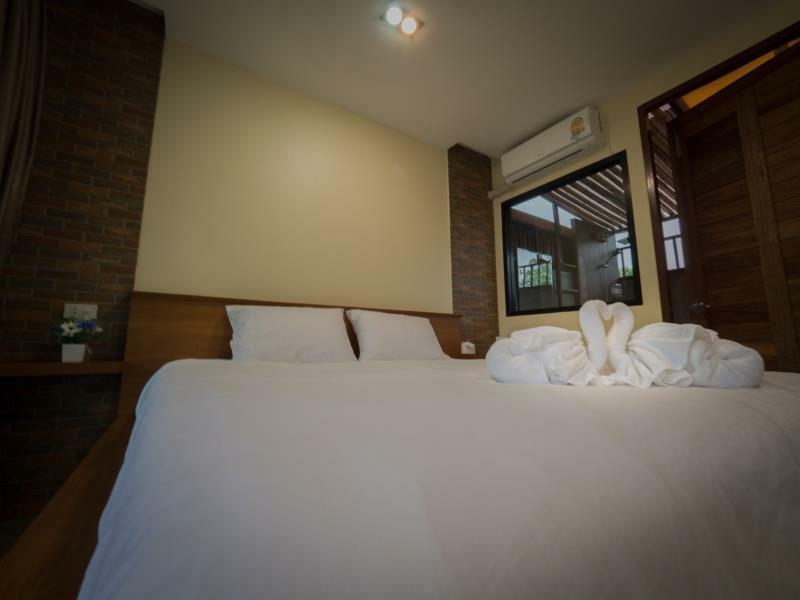 The resort is on the bank of the Petchaburi river a few kms west of the city centre. The rooms are spacious and each has a private balcony. Very peaceful at night. Clean, comfortable beds and a bathroom partly open to the sky. A fine experience. This was in our top 3 favorite accommodations during mine and my boyfriends 1 month stay all over Thailand. We stayed in about 10+ different hotels and/AirBnB and this one had the best ambience. Our room was clean, had a glass wall overlooking the river and our bathroom was outside surrounded by a bamboo and dark oak wood walls. The room had a charming rustic vibe, we highly recommend it. You can plant a tree in their driveway even without them knowing it. My morning checking out, I was left all alone at their reception area fronting the river - privacy. At first, I thought I did be served breakfast as the lone staff was cooking up fried eggs in the kitchen stirring up an aromatic storm which fueled my morning hunger. Then I saw her consuming the egg by herself and left. That was when I realized no breakfast was served in this resort, except for the table with coffee, bread and butter for me to help myself. The previous night’s sleep in what I would perceive as a very boutique styled rooms was extremely agreeable with the price. It had a generous view of the river up front for the room was glass facet on its entire front. The bed sheets were rather starchy, but I was too tired to bother. The open air toilet was interesting and every corner of the unit was tinted with modernity and a designer’s touch. I could tell this was not one of those “let’s set up some sheds and call it a resort” establishment. The little disappointment I had was that it was no businessman hotel. There was no working table in the room. The toilet did offer some possibilities of spreading out my notebooks on a raised platform with the toilet seat as my chair but I could live a night without catching up emails and such. Not too bad at all, and worth it. Stuff and owner are really friendly, hotel's view is wonderful. Away from the city noise, enjoy my stay here, would come back again. Nice location near Phetchaburi river. And good modern and nature decoration style not far from town. Great value recommended. We stayed at the front units and they are nice and clean and close to town center. a few minutes drive to "Pra Ram Ranives". It’s peaceful, serene & so relaxing listening to nature! It’s simplistic & easy to feel you’re a world away from reality! Clean but no toilet paper. No WiFi signal in my room. A loud party at the site woke us at 1 am. Ants in the room.